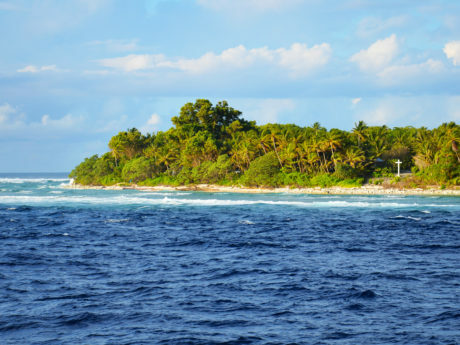 The 100 Island Challenge is a large-scale natural experiment, investigating the independent and interacting effects of oceanography, geography, and human activities in affecting the structure and growth of coral reef communities. We use a rigorous and repeatable sampling protocol, which employs classical methods for collecting high-resolution data (fish, benthic, oceanographic) combined with novel reef visualization products (i.e., large area imagery). The natural experimental design uses islands as statistical replicates, as we select focal islands to span a diversity of combinations of human activity, oceanographic conditions (principally temperature and nutrient delivery), and island geomorphology. We aim to learn about community ecology including large, long-lived organisms, and thus we cannot use tools in classical manipulative experiments. Instead, we call this a ‘natural experiment’ in which we use existing variation of key drivers of community structure, but control for too much noise by constraining our study to the same habitat and same depth on each of the 100 islands. We conduct two surveys (separated by 2-3 years) for each island, providing an invaluable opportunity to document the structure of the reefs as well as document (potential) change through time. 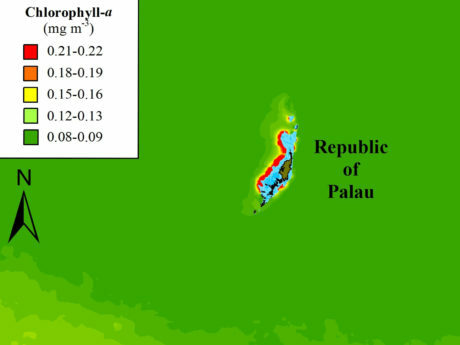 By using a collection of survey technologies coupled with the application of ecological theory and quantitative models, we are gaining important insights into the relative condition of coral reefs from across locations. Further, by using a large-scale geographic scope we are able to span the variety of environmental conditions within which coral reefs are found today, providing novel insights into the workings of this ecosystem. Importantly, we make all of our data products widely available to inform and educate managers, scientific colleagues, and other stakeholders about how coral reefs work and what is needed to ensure reef persistence into the future. A brief summary of the methodologies is provided below, please contact our team for more details. We use a standard underwater visual census (belt transects) to enumerate the density, size structure, and species composition of the fish assemblage at each reef. The surveys enable us to quantify critical elements of the size structure, trophic structure, and species diversity. 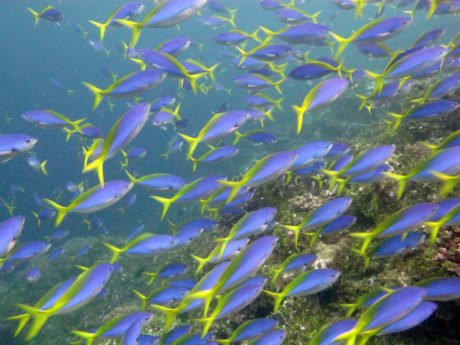 Further, by using techniques of ecological and fisheries science, we provide estimates of potential fisheries production, building off of complementary efforts of life history analysis from our group and others. We use photographic survey techniques to describe the benthic composition from each reef. Standard image-based photoquadrat surveys are collected to provide raw data on the percent coverage, species composition, and physiological health of corals, algae and other benthic taxa. In addition to the photoquadrat surveys we conduct large-area imaging and use photogrammetry to document the spatial structure and competitive dynamics of benthic taxa. These advanced image analysis and visualization techniques that allow us to track how reef communities change as well as address currently unresolved questions of coral growth, death, and competition in a spatially explicit context. 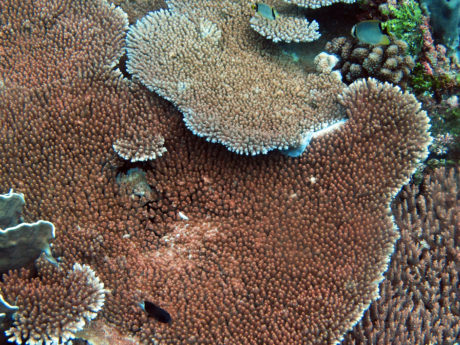 By employing both the standard photoquadrats in addition to photomosaic surveys, we can ensure the comparability of our data to previous and ongoing monitoring efforts, while the photomosaics allow an unprecedented opportunity to track coral demography and provide insights into the factors driving spatial patterns. We use remotely-sensed products (i.e., satellite-derived data, wave models from buoy data) to document core descriptions of the oceanographic context of each island. We will complement these data with a subset of in situ data, especially collecting temperature data and collating other data collected by regional partners.